Documents except books may be not lasting! Books are for the generations to come, at least they are preserved in libraries! To promote Japan’s little known pro-equipment and its past contrary to well-known amateur equipment in the world. By the way, some manufacturers still exist despite some of them ceased to manufacture the motion picture projector equipment. It will be a very helpful and UNIQUE publication available in English from the view-point of a foreign expert in this field. I am a Professor of Technical Cinematography at the Istanbul University, and the curator of film equipment section of the Communications Gallery at the same institution, who has a big interest in Japanese equipment and manufacturing quality since years. 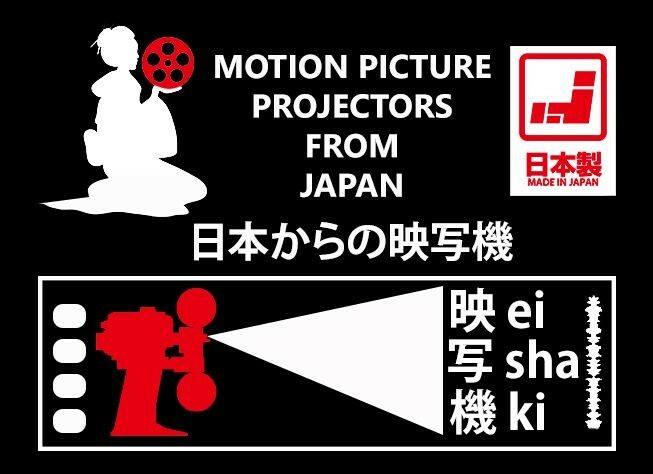 I have a web blog about Japanese projectors (this one); as well some published and will be published texts about the same subjects for some international and local technical journals. All tickets incl. Air for international transportation, accommodation, food, city transportation, a private insurance within Japan, an English-Japanese translator/assistant, her/his expenses, etc. – for visiting companies, museums, societies, repair shops and related persons, etc. N.B. Inter-city transportation will be made by Bullet-trains, inner-city by public transportation (a prepaid e-money card needed). A signed legal contract between the two parties. Two times – each one twenty (20) days in various cities like Tokyo, Osaka and Nagoya, etc. Publishing rights worldwide of 90%, so the proofing, designing, printing, advertising, and distribution expenses will be on your side. If you are interested in involving in this project, please contact me by filling out the contact form.